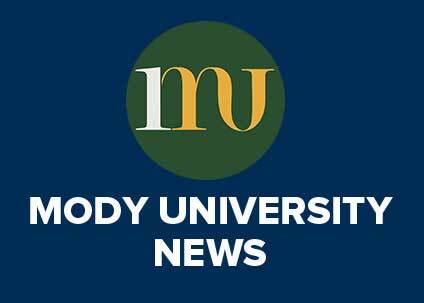 Mody University has gained exquisite eminence at the international landscape for its commitment to value-based education aiming to expand the global perspective of students. A lot its students are frequently selected for internships in prestigious foreign universities every year. Taking this legacy forward, 6 students from B.Tech. 3rd year – Mahima Mehta, Anvita Singh, Vishraja Shrivastava, Priya Mundra, Arushi Agarwal, and Yoganwita Choudhary – are now selected for internship in Nantes University, France. Another 3 students from B.Tech. 3rd year – Tripti Shah, Nitya Kaushik, and Nirvi Badyal – are selected for internship at Hautes Etudes d’Ingénieur (HEI), Lille University, France. All the students will play their trade in these two universities till mid-July under the guidance of eminent faculty members of international renown. Mody University congratulates them for bagging international internships and wishes them all the success in their future endeavours.